Matt has been telling me for years that these are the best cookies ever! 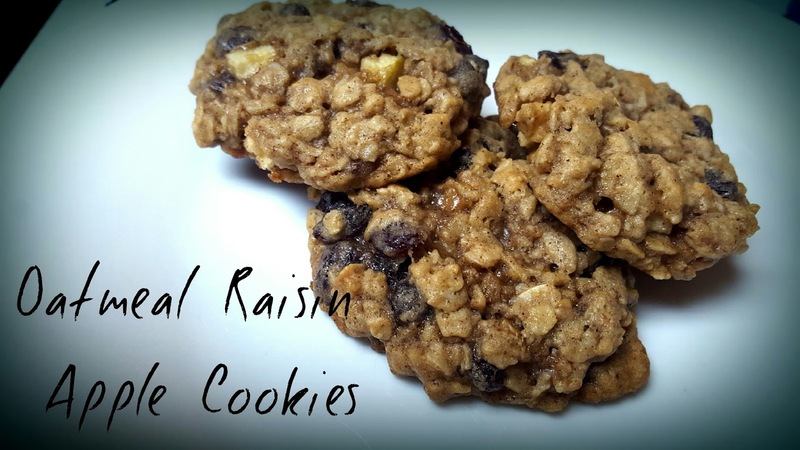 I mean, oatmeal raisin have always been my personal favorite but adding the granny smith apples to it really was just the icing on the cake! I should have known that I would love them because I love everything, cinnamon and apple. Andie hates when I make desserts because she thinks that’s the only flavor I can make! These cookies are literally the best! The End! 1. In a medium bowl whisk together flour, cinnamon, salt and baking soda. Set aside. 2. In mixer cream together butter, brown sugar and granulated sugar. Add one egg at a time and then vanilla until blended. 3. Add flour mixture to wet ingredients and mix until smooth. 4. 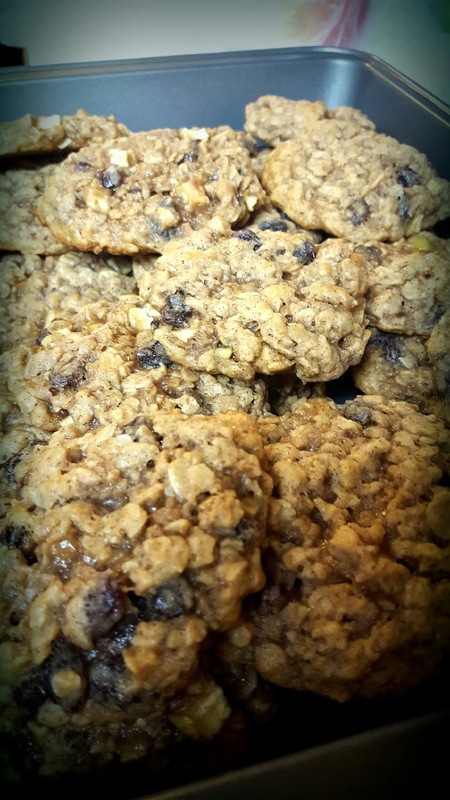 Add oat, raisin and apples. Mix together. 5. Preheat oven to 350 degrees. Chill dough for 30 to 60 minutes. 6. Line baking sheets with silicone baking mats. 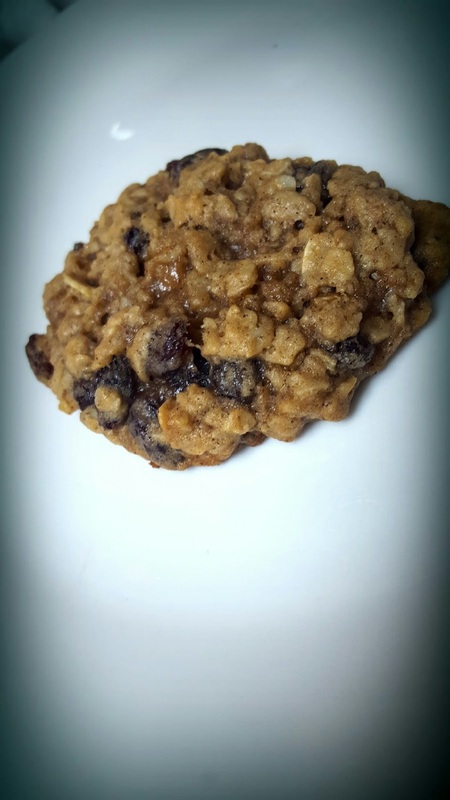 Take 1.5 tablespoons of cookie dough and roll into a ball. 7. Bake for about 10 minutes or until the edges are very lightly browned. Take from the oven and let them cool on the baking sheet for about 5 minutes before transferring them to a wire rack. Mmm! Loaded with goodness, no wonder Matt likes them so much.